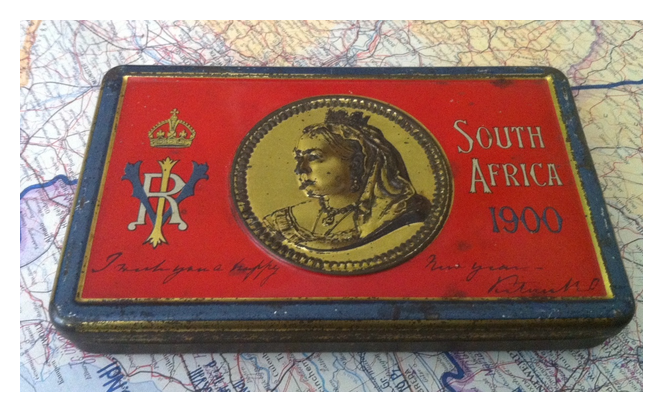 In December 1899 these tins were sent to every serving soldier in South Africa as a New Years present from Queen Victoria. They contained chocolate originally and, although rare, you can still find them intact and complete. 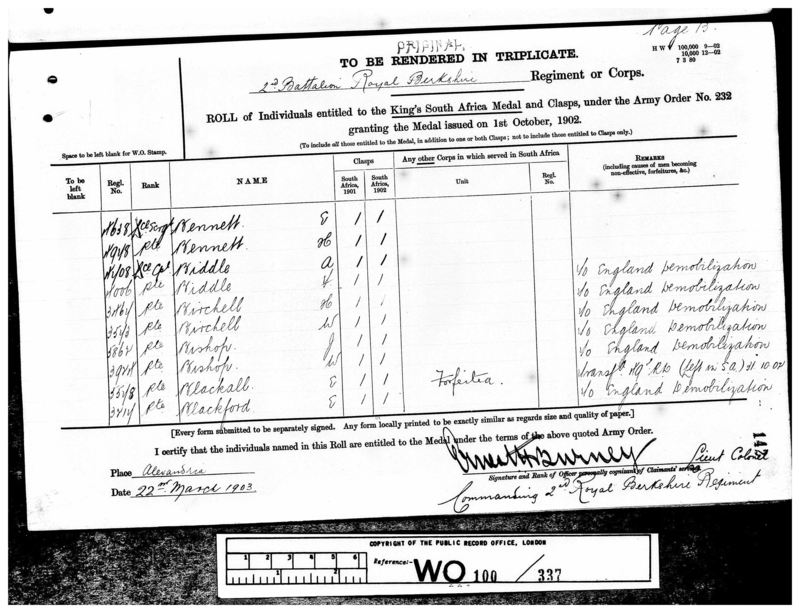 This one came to me with the pay book and medals of a soldier who served in the Boer War. 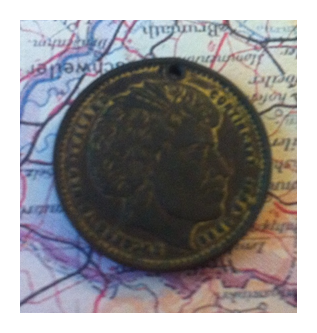 This token is very similar to this one here. However in this case, instead of a New Zealand flag there is a profile of a Maori warrior. 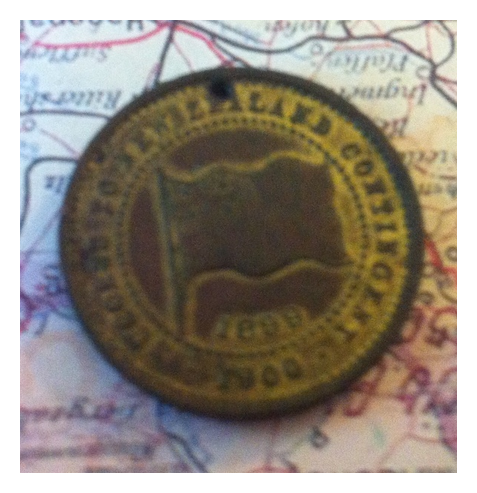 In this example the date 1899-1900 is on the reverse. 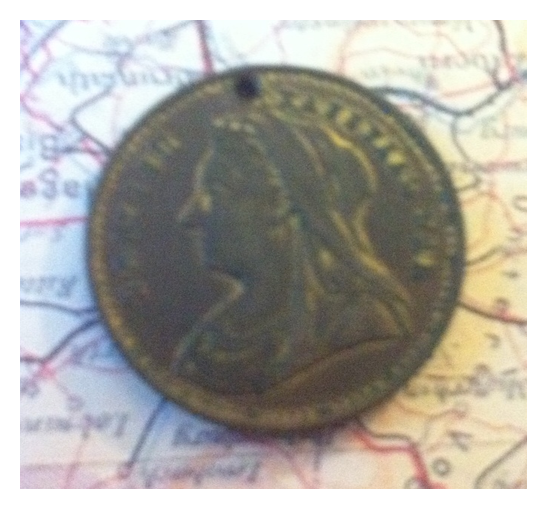 On the obverse are the words “British Transvaal War”. 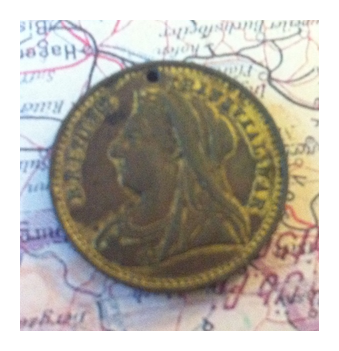 The Boer War overlapped the reign of Victoria and Edward VII. 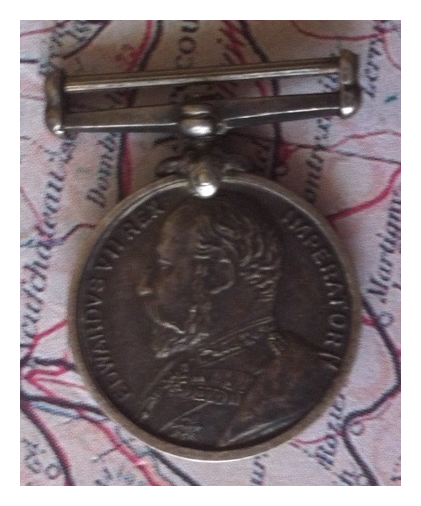 The medal issued under Edward was called The Kings South Africa Medal. 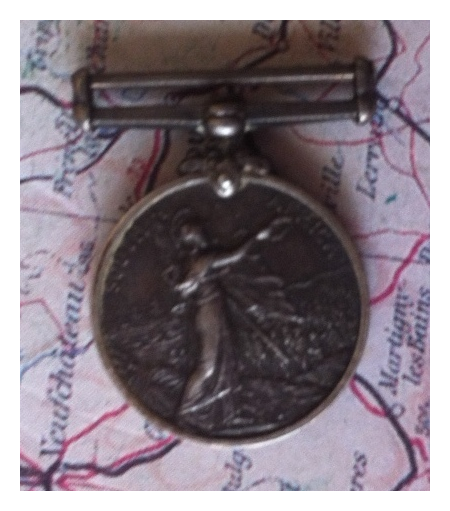 This is a period miniature for this medal. 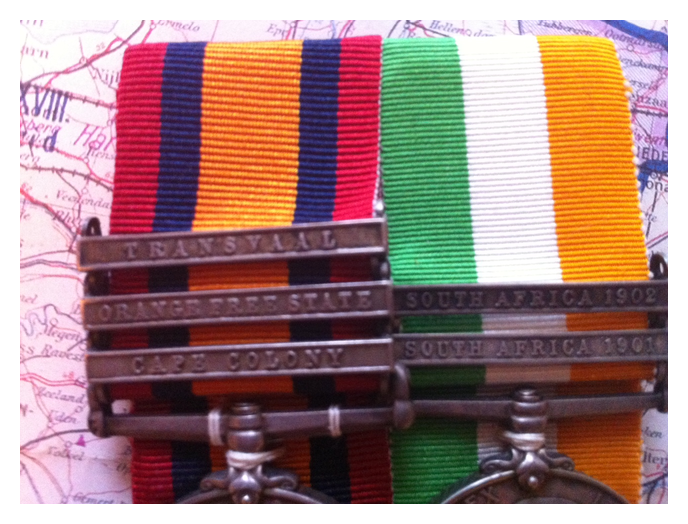 This is a group from my family consisting of the Kings South Africa Medal with South Africa 1901 Bar and South Africa 1902 Bar and the Queens South Africa Medal with Transvaal Bar and Orange Free State Bar and Cape Colony Bar. It is marked to 3573 W. Birchell RL: Berks Reg.